Did a short research paper just unlock Facebook’s psychometric blackbox? Rumours of Facebook's psychometric targeting abilities have been swirling for years. Freelance strategist Antony Giorgione considers if a little-known research paper has finally unlocked the blackbox. In the 1990s, psychometric profiling took a great leap forward with the refinement of the Five-Factor Model of Personality (FFM). 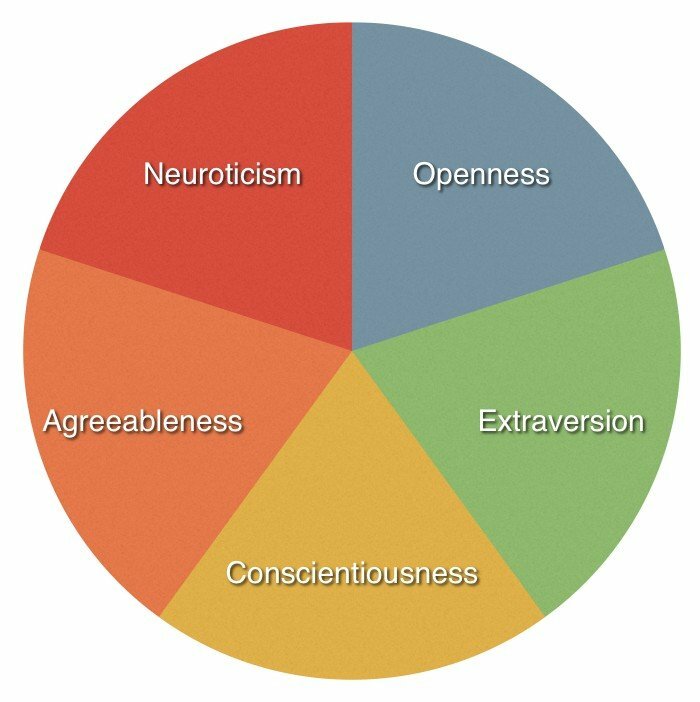 The model consists of a number of dimensions, or traits: openness-to-experience, conscientiousness, extraversion, agreeableness and neuroticism. Each of these traits deal with aspects of personality that are largely mutually exclusive, but together form a fairly complete model. Every individual is said to have a measure of each of these traits. If you’ve ever worked for a large business, it’s likely you’ve been subject to an evaluation along these lines. When used within peer-review literature these traits are generally limited to either a high or a low measure. For example, a person low in extraversion will be said to be introverted, with a qualitative lexicon of characteristics that measure entails. Demographics provide a useful categorisation for marketing, but with psychometrics things get far more granular. You could identify two people sharing the same demographic profile, but they may present completely different personalities. With the FFM, it’s possible to map against five axes. So two people might share similar trait characteristics along four of these axes, but differ along the fifth. And that difference can change your whole approach to engaging with them. Trait modelling is not the only way to measure psychometrics. There is another aspect just as influential in decision-making – mood state. But where a mood state might be temporary, trait is generally stable and consistent over the life of the individual. The only problem with mapping someone’s FFM trait profile is that it needs a 50-item questionnaire filled out for a valid degree of accuracy. You can’t just look at a single Facebook ‘like’ and know the rest. Or maybe you can. A paper has just been published in which ads served via Facebook showed 50% greater efficacy when psychometrically-targeted. A direct path-to-purchase was demonstrated, and the testers were able to ascertain the relevant personality trait of a Facebook user with only one ‘like’. In one of the experiments for the research paper, female Facebook users were served with ads for a beauty retailer across two trait measures: high extraversion and low extraversion. When the message-trait was congruent with the user-trait (e.g. high extraversion ad with high extraversion user), on average the user was 1.54 times more likely to purchase than when the message/user combination was incongruent. And in order to determine whether a user was high or low in extraversion, only one ‘like’ was utilised as a predictor. In 2007, a student academic at Cambridge University (and one of the authors of the above research paper) named David Stillwell created an app for Facebook called MyPersonality. It was sent out to users with the offer of providing a FFM personality profile in exchange for their answering a number of questions. Eventually MyPersonality was gathering the personality profiles of millions of users. Stillwell, along with another student (and a co-author of this paper, Michal Kosinski, who joined in 2008), gathered information based on each user’s ‘like’ history. With a sample this large, there was enough statistic power for extraordinary insight into the individual. By correlating FFM scores with likes, they were able to reverse the direction and use the likes profile to predict FFM scores. With 70 likes they could know the user’s personality profile better than the user’s friends, with 150 likes better than the user’s parents, and with 300 likes better than the user’s partner. And only a single like, given it’s the right like, is enough to predict a trait. It didn’t end there. They could also look to other aspects of a user’s Facebook page and deduce personality characteristics with great accuracy; number of profile pics or how many contacts for example. Stillwell and Kosinski had amassed the single largest dataset of psychometric profiles outside of Facebook themselves. When the results of this analysis were published in 2012, Facebook threatened a lawsuit and the data gathering stopped. Soon after Facebook changed the ‘like’ default to private. In 2014, Kosinski was approached by an assistant professor called Aleksandr Kogan for access to the MyPersonality dataset and methodologies. Kosinksi did a bit of due diligence. It turns out Kogan was working with a company called SCL whose website pronounced one of its core competencies being the ability to influence elections based on psychological modelling. SCL eventually morphed into Cambridge Analytica – not directly related to the university. And Cambridge Analytica has taken most of the credit for both the UK-EU vote and 2016 US presidential election outcomes. Using methodologies (apparently) developed by Stillwell and Kosinski, and data purchased from land registries, club memberships, retailers, etc. Cambridge Analytica has amassed a profile of at least 5000 data points for every one of the 220 million adults in the US. It has the ability to identify their personality, and perhaps even influence their voting and purchasing decisions. Kosinski was fuming. He had ceased contact with Kogan (who has since renamed himself Dr. Spectre – I kid you not) back when he discovered SCL’s raison d’etre, and yet his colleagues were now accusing him of being involved in Brexit and Trump’s victory. Kosinksi promised Vice he was going to release studies demonstrating the increased efficacy of psychometric targeting on purchasing decisions. To show the world that it can and does happen. The paper I’m discussing today appears to be the result of that promise. Facebook is one of life’s essentials; a public service like schools, roads, electricity and running water. But it’s also a business and as such the commercial imperative takes primacy. Of course, this primacy is balanced against what is considered acceptable or unacceptable by its user base. Earlier this year, The Australian newspaper got a hold of a presentation made by Facebook to one of our banks. In it, the social media giant identified the ability to pinpoint the mood state of over 6 million young Australians – be it ‘stressed’, ‘worthless’, ‘silly’ or any one of a number of other descriptors. Facebook denied to the newspaper that it was selling targeting via mood state, only that they were sharing this information with the bank in order to demonstrate what was possible. Despite this news breaking, there doesn’t appear to have been much of a resultant backlash from its users. You can’t actually buy a Facebook marketing plan based on psychometric profiling. Over the counter, that is. It does seem likely, however, that they are making this premium(-priced) service available to preferred, substantive clients directly. For Facebook not to be capitalising on such a distinct competitive advantage, not to be pursuing such a potentially lucrative revenue stream, could be interpreted by some of its stakeholders as sheer negligence. In order to maintain its competitive advantage, Facebook would have to be relying on blackboxing – obscuring its existence, and more particularly process, to prevent some other entity from being able to provide a similar offering. Think of it as reverse-engineering prevention. So we have a study that shows how to produce creative that appeals directly to differing psychometric groups, with path-to-purchase tracked and improved efficacy demonstrated. It’s a small study using the barest minimum of moving parts, but it seems very possible to extrapolate upon and yield even greater efficacy. And we have a dataset so powerful it can know you better than your own partner, and can also identify a trait measure via a single like. A free, publicly-available dataset. A data-scraping case is now making its way through the US courts. As I’ve mentioned in a previous piece, HiQ has been scraping information from the publicly-accessed profiles of LinkedIn members, using it to create a database predicting those most likely to leave their job and then selling this information on to recruiters. A US District Court judge has recently ruled in HiQ’s favour, but LinkedIn plans to challenge the decision. If upheld in the higher courts, it may allow an entity to legally gather personal information at serious scale from the zillions of Facebook profiles that have chosen (or defaulted) not to be private, and use modelling from the now-ageing but still-structurally-sound MyPersonality dataset to create even more psychometric profiles. By the way, have you been to stalkscan.com? Well researched piece Antony. And quite frightening. “Dr Spectre” is a name you can trust. I should have included a photo of a white furry cat with this piece. Great chronology of events. Really interesting. Thanks for taking the time to publish. Mark and Adam, thank you for your comments.